Colwell has spent her career advancing educational opportunities in science, engineering and mathematics for students of all ages, emphasizing increased participation for women and minorities. In 1998, she was named the first woman to direct the National Science Foundation (NSF). In addition to promoting the necessity of strong education in the fields of science, technology, engineering and mathematics (STEM), Colwell was instrumental in defining the “broader impact” merits of NSF grant-winning research. 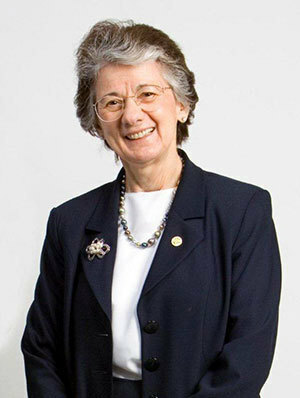 She famously called on presidents of universities and colleges and heads of other NSF grantee organizations to account for a “proposal’s technical merit, creativity, educational impact and its potential benefits to society.” After completing her term as director of NSF, Colwell joined Canon Inc. to help establish Canon U.S. Life Sciences, serving as chairman and chief scientist. In 2008, she founded CosmosID Inc., where she continues to serve as chair. Colwell is the recipient of numerous awards and distinctions. In 2005, the Emperor of Japan bestowed on her the Order of the Rising Sun, Gold and Silver Star; in 2006, she received the National Medal of Science awarded by the president of the United States; and, in 2010, she was awarded the Stockholm Water Prize by the King of Sweden. This year, she received a Lifetime Achievement Award from the National Council for Science and the Environment. She has been awarded 61 honorary degrees. Colwell has authored 17 books and more than 800 scientific publications. She produced the award-winning film “Invisible Seas” and has served on editorial boards of numerous scientific journals. Born in Beverly, Massachusetts, she holds a Ph.D. in oceanography from the University of Washington and a master’s degree in genetics and a bachelor’s degree in bacteriology from Purdue University. Originally published by Evan Bryson at news.nd.edu on May 02, 2016.